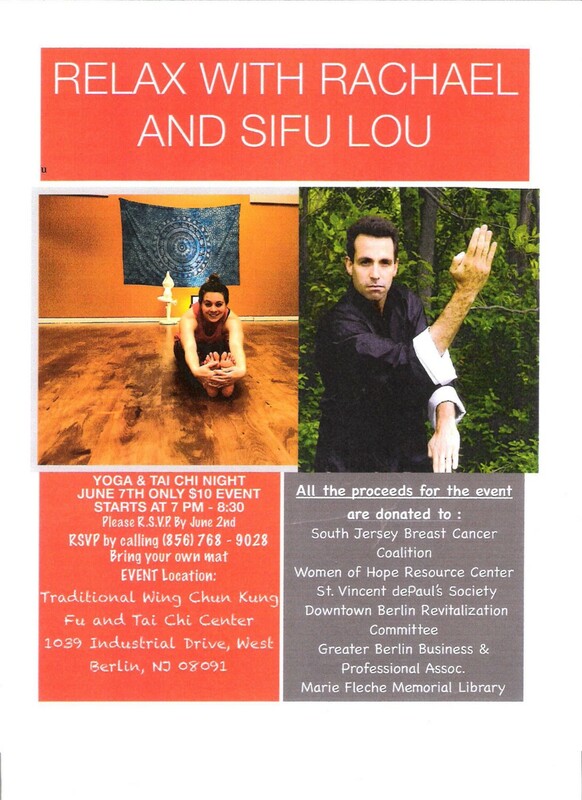 Loretta Mikluski, President of the South Jersey Breast Cancer Coalition, has organized a Yoga and Tai Chi night for Wednesday, June 7, 2017 at 7 p.m. The event costs $10 and will be held at the Traditional Wing Chun Kung Fu and Tai Chi Center located in West Berlin. The proceeds from this event will be donated to several non-profit organizations. Complete details including contact information, RSVP, location and donation recipients are listed on the flyer.